The final meeting of the year was quite an active one. We had three Kings of War games, involving Brett (Kingdoms of Men), Kendall (Ogres), Philip (Kingdoms of Men) and Rob (The Herd). In FOG Napoleonics, Lawrence (1812 Russians) played Mike (1813 French). 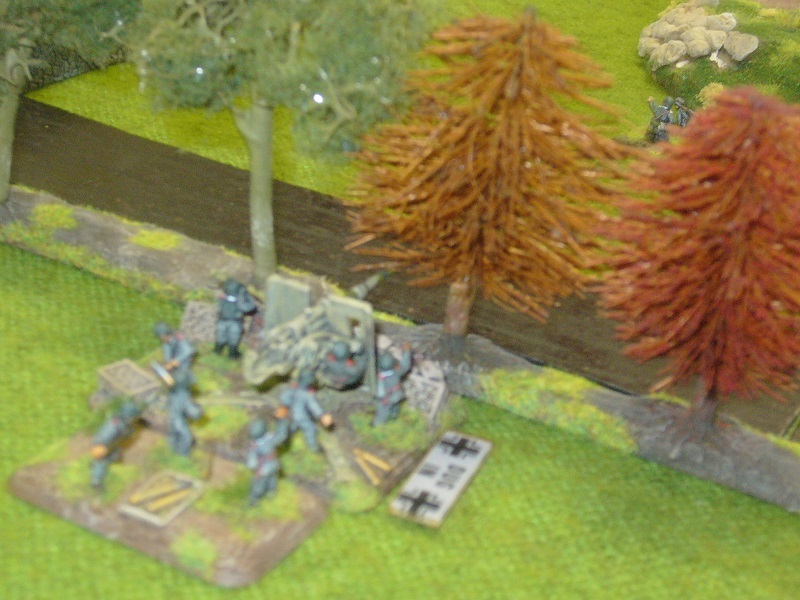 Al and Kit has a 15mm WWII game using a modified version of the old WRG rules. The 1940 BEF attempted to assault a German defended position. Pictured below are some British infantry occupying Hunterville with supporting machine guns on the hill in the background. Big FOW game with Kit and Andrew D (US) beat Steve and Mike (German). The second annual Clash of Kings tournament was held at the Mighty Ape HQ. We had four players from our club in the field of 16 - Rob (The Herd), Alan (Goblins), Brett (Kingdoms of Men), and Philip (Kingdoms of Men). Rob took out 3rd place and also was the co-winner of the Best Sport award. Kings of War. Alan (Goblins) beat Brett (Kingdoms of Men) 3-1 in the Pillage scenario. Philip beat Rob in the Invade scenario. Both players used Kingdoms of Men armies. Brett beat Philip 2-1 in Loot!, again both using Kingdoms of Men. Rob (Kingdoms of Men) beat Kendall (Ogres), also in Loot! Fields of Glory - Napoleonics. Andrew's Prussians defeated Al's Anglo-Portuguese. Alan and Steve had another X-Wings game. Kings of War. Alan (Goblins) beat Philip (Kingdoms of Men) in the Loot scenario. Kendall (Ogres) beat Philip (Kingdoms of Men) in a Kill & Pillage scenario. Fields of Glory - Napoleonics. Brent (Prussians) beat Brett (Austrians). To finish off the day, Alan and Steve had an X-Wings game. Kings of War. Philip and Rob had a couple of 2000 point games, both using Kingdoms of Men armies and with one win apiece. Fields of Glory - Napoleonics. Kit's 1815 British beat Kendall's unreformed Russians. Andrew's revolutionary era Piedmontese defeated Brett's Austrians. Just the one game at the club today - Alan and Dan played Kings of War. Al made the trip to Brisbane to play in the FOG-N tournament over there, picking up the Best Painted Army prize. The second day of the POP tournament coincided with a regular club meeting. Next year's POP is likely to have an ECW/TYW theme. 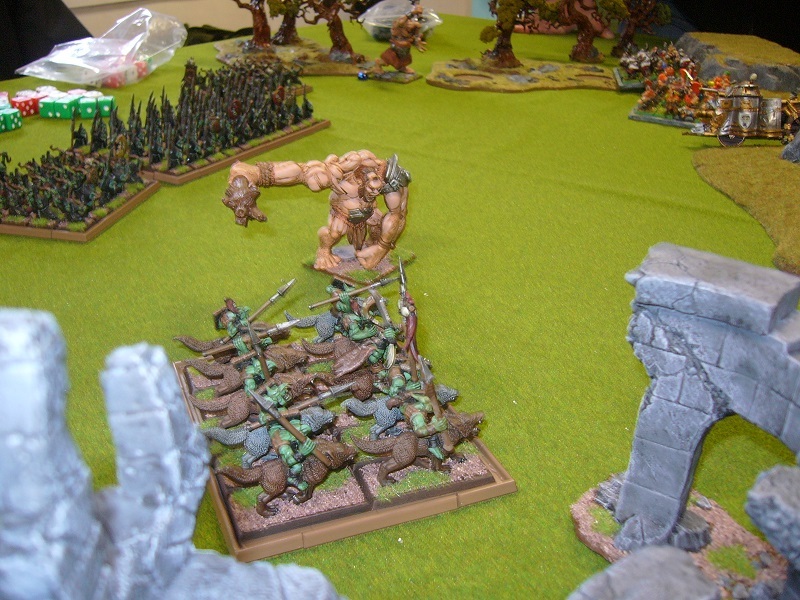 Kings of War - Rob (Varangur) played Alan (Goblins) in a 3000 point battle. FOGN - Andrew (Mixed Nationality Corps) played Kendall (Anglo-Russian expedition 1805) using some experimental rules for unreformed infantry. FOW - Kit (Germans) played two games against Mike and Steve (both using Soviet armies). Mike also played Lyndon's US forces. 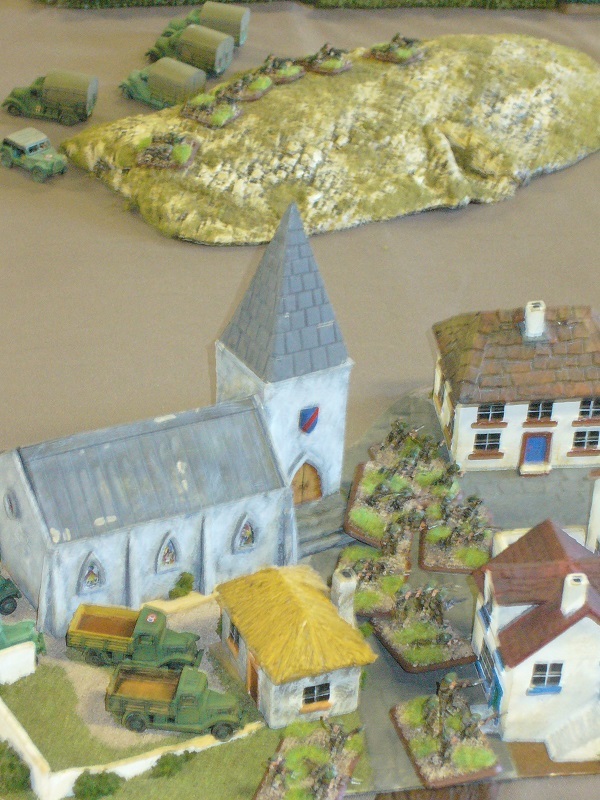 Flames of War - Rob's British Airborne had two battles on a Low Countries terrain, the first a training exercise against Lyndon's British Guards, and then against Steve's Germans. Kings of War - Three games between Alan (Goblins), Philip (Kingdoms of Men) and Rob (Dwarves). FOGN - Kendall (Mixed Nation Corps) and Andrew (1815 British) playtested the Lutzen scenario. 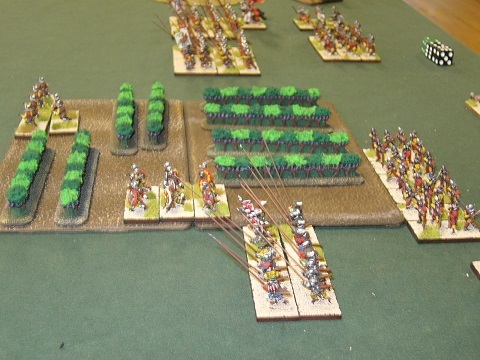 Brett (Austrians) played Kit (1815 British) in the Salamanca scenario. 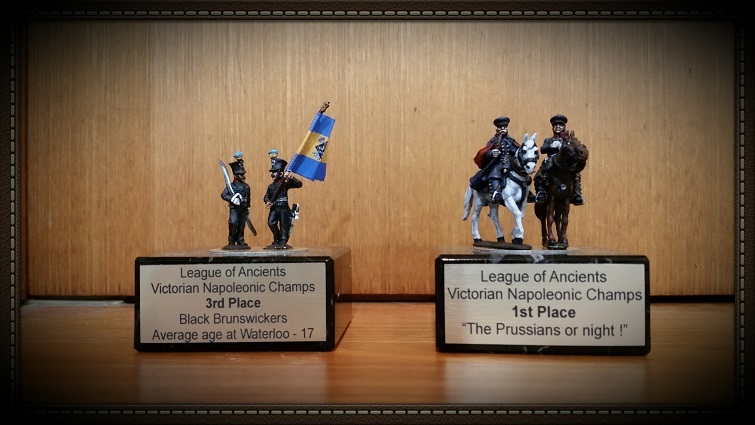 Another successful visit to Melbourne for the FOG Napoleonics tournament hosted by the League of Ancients club. There were 8 NZers out of the 22 players, and we took 1st, 3rd and 4th place. FOG-N - Two games using the new scenarios from the Melbourne tournament - Brett and Kendall played the Polotsk 1812 scenario, and Kit and Philip played Heilsberg 1807. Alan and Rob finished the day with a western game, Dead Man's Hand. Added a link to a new shop in Hamilton, Game Centre.